The first phase of the masterplan for the strategic regeneration of the former BBC site on Oxford Road has seen the delivery of 716 serviced apartments under the ‘Vita Student’ brand. 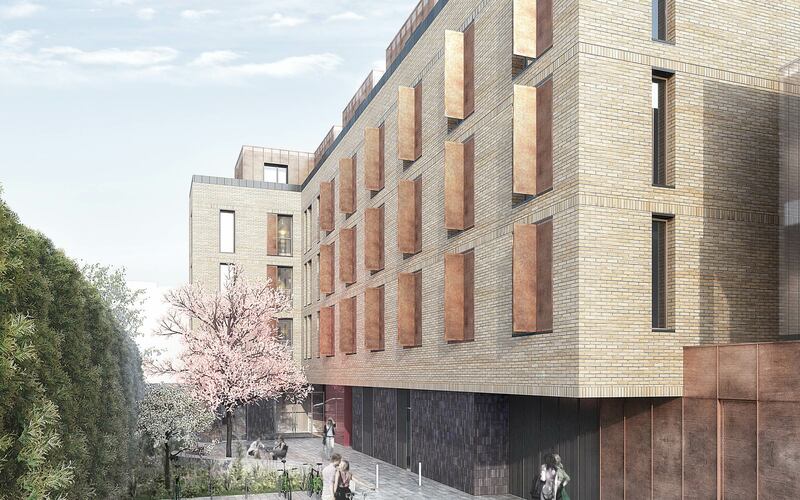 The scheme is accommodated across two buildings designed by 5plus. The masterplan, to be delivered over a decade, will create an employment led, vibrant new neighbourhood within Manchester City Centre. Proximity to institutes of knowledge and science make this site unique. The vision is to build upon this, creating a place for bold and brilliant people and businesses, innovating for the future. The £750 million, 2.25 million sqft mixed use development comprises; commercial, private residential, serviced accommodation, hotel, retail, leisure, exceptional new public spaces, public realm, car parking and new routes. Building 10 comprises 496 units of between 20 sqm and 30 sqm for single, double, and twin occupancy and a proportion of 5 bedroom cluster apartments over a part 13, part 17 storey building. Generous hub spaces are provided at lower levels in addition to retail and incubator/commercial space. Building 11 comprises 220 units of between 26 sqm and 32 sqm studios with the top two floors occupying 22, 38 sqm duplexes with private, external terraces, over a 12 storey building. Generous hub spaces are provided at ground floor. Associated external amenity space and cycle parking is proposed adjacent to the river Medlock.